Here’s what’s happening in the world of television for Thursday, August 30. All times are Eastern. One Dollar (CBS All Access, 3:01 a.m.): Sure, CBS All Access is probably best known as the weird thing you have to pay for in order to watch Star Trek: Discovery and The Good Fight, but it has other stuff, too! The newest addition to the non-Baranski segment of the roster is this thriller from creator Jason Mosberg, in which the titular bill passes through the hands of multiple people connected to the same small-town murder. 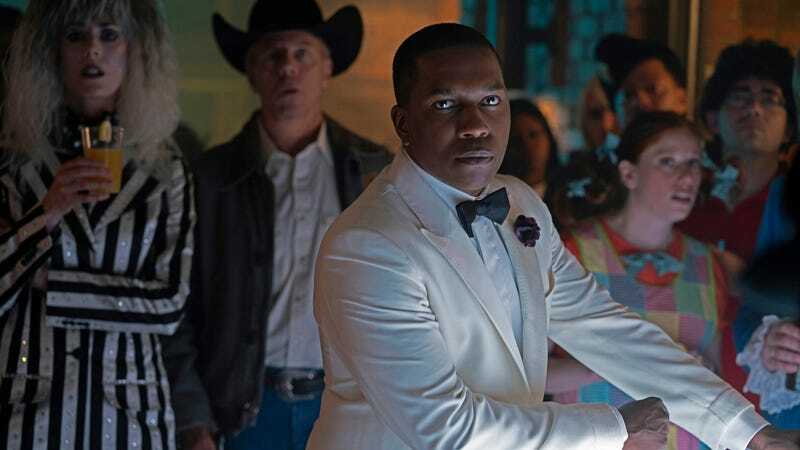 That’s the kind of premise that could go either way, but the cast—including John Carroll Lynch, Leslie Odom Jr., Jeff Perry, BlacKkKlansman’s Ashlie Atkinson, and relative newcomer Níke Uche Kadri—suggests that this particular “hmmm, maybe” should be filed under “sure, let’s give this a shot.” This first episode is a little shaky, but with actors like that, we’re, ah, willing to wait for it to find its footing.